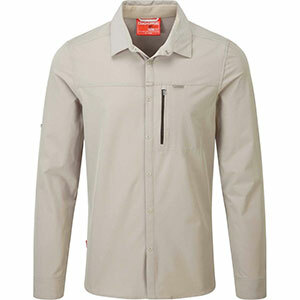 Practical and comfortable nylon shirt. 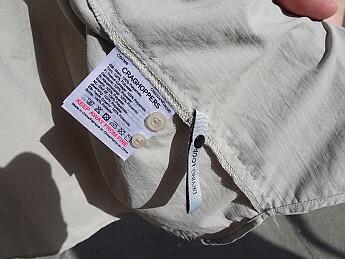 Is insect-repellent and has various other features including five pockets. 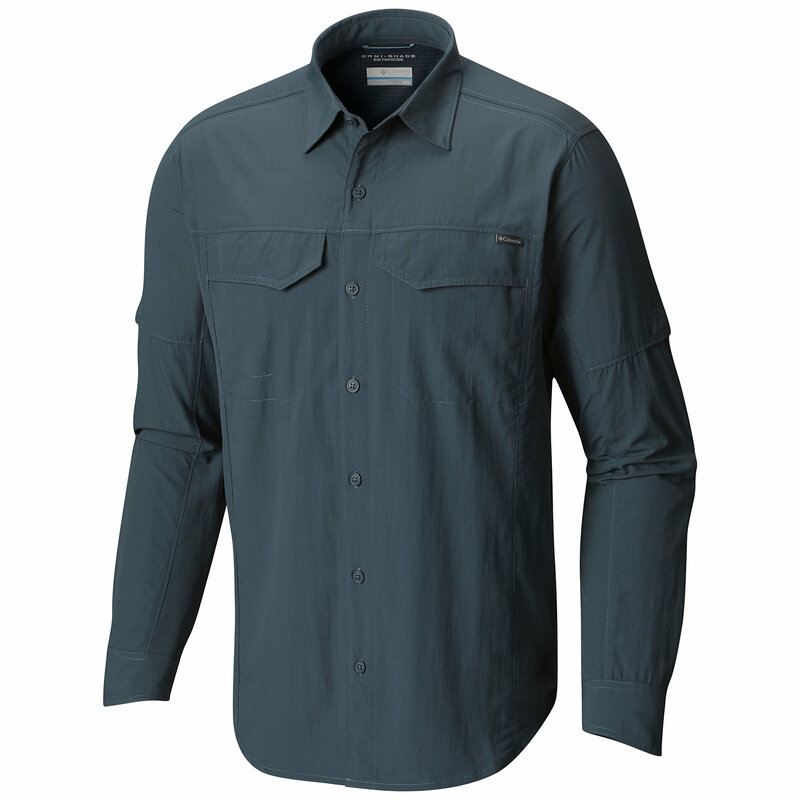 The Craghoppers NosiLife Adventure shirt is a practical nylon shirt. 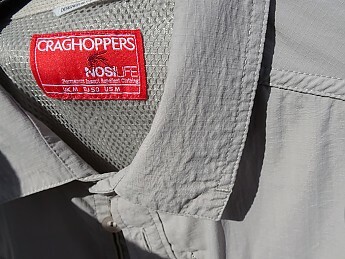 It comes with Craghoppers’ NosiLife insect-repellent treatment which, the company claims, is permanently woven into the fabric and remains effective throughout the useful life of the garment. Make of this what you will: I’m sceptical, to be honest. But the shirt does have plenty of other useful features. It has a solar collar extension, button-up tabs to keep the sleeves rolled up, drying loops so you can hang it out to dry without pegs, and a zipped chest pocket that is big enough to take a map. 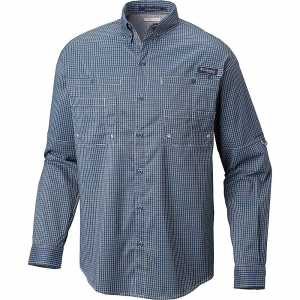 The shirt has an additional zipped pocket inside the left chest pocket and a stud-fastening pocket on the left sleeve, making for five pockets in all—an impressive number for a shirt. 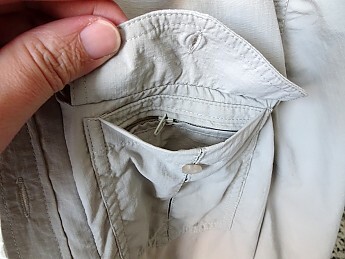 However, these two pockets are too small to be genuinely useful. 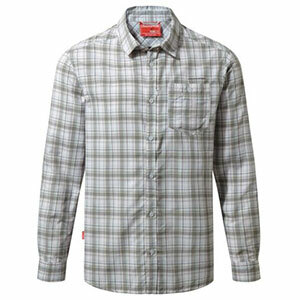 The shirt is vented at the back and has a mesh lining around the shoulders and upper back. The buttons on the shirt front are not sewn on with thread but are held in place by a continuous strip of fabric that runs down the shirt placket. This means that they are very unlikely to fall off. The shirt does come with two spare buttons. These match the neck, chest pocket, sleeve and cuff buttons, which are sewn on in the normal way. The sizing on this shirt is good, unlike the NosiLife Insect Shield Pro Shirt which I reviewed last year. I am 6'1" with a 41-inch chest, and the medium is a good fit with adequate sleeve length. The only sizing problem concerns the collar, which is rather wide. I suppose that, this being a hot weather shirt, the collar was deliberately enlarged for comfort. But the designers overdid it, in my opinion. The collar is the shirt’s one negative point, both because of its size and because it wrinkled when I washed the shirt the first time. However this is a cosmetic issue and does not seem to affect the durability of the shirt. Indeed the shirt appears very well made on the whole. It is one of the older items in Craghoppers’ product line and it retains the quality for which the brand became known, unlike some of the more recent Craghoppers products. My size medium weighs 270g (9.5oz), which is on the heavy side, but this is due to the features of the shirt rather than the gauge of the fabric. 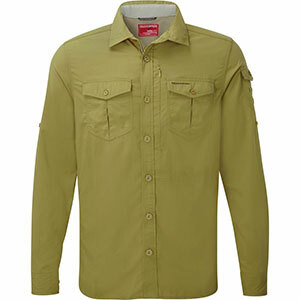 The shirt is made of a lightweight ripstop material that feels comfortable, though I have not yet worn it in hot weather. I did not buy this shirt with hot-weather hiking in mind. 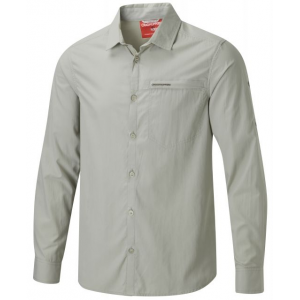 I simply wanted a nylon shirt in the hope that it would dry quicker than my Craghoppers Kiwi polycotton shirts, so campsite washing would be more feasible during long-distance treks. 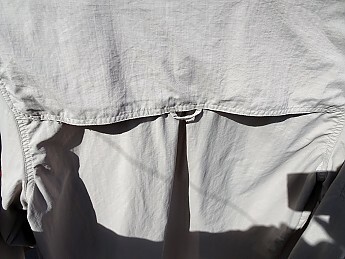 To my surprise I found that both models of shirt dry at the same rate when they are hung on a line after washing. However, the NosiLife Adventure shirt seems to do a better job of dispersing sweat during strenuous walks. My Kiwis tend to retain moisture in the form of damp patches while this shirt does not. Collar aside (and this is a minor point), I am happy with this shirt. 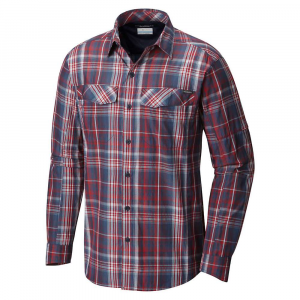 It comes in five different colours and there is also a short-sleeved version. 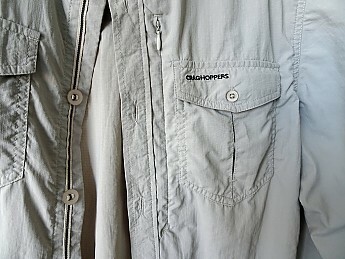 The regular price in sterling of the long-sleeved version as shown on the Craghoppers website is £55 ($69 at the time of writing), but the shirt is available from a wide variety of retailers and frequently appears at discounted prices. Thanks for the review, Charles. How long of lifespan do you see this shirt getting? Welcome. I see it lasting a good few years. Great review, Charles! Thanks for sharing it. I hope you'll keep us posted on how this shirt (and it's insect repellency) holds up.